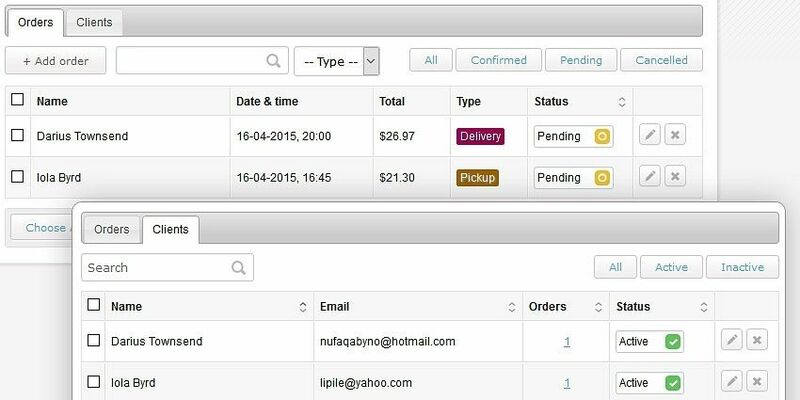 Online food delivery software suitable for restaurant, pizza, pub, and cafe websites. 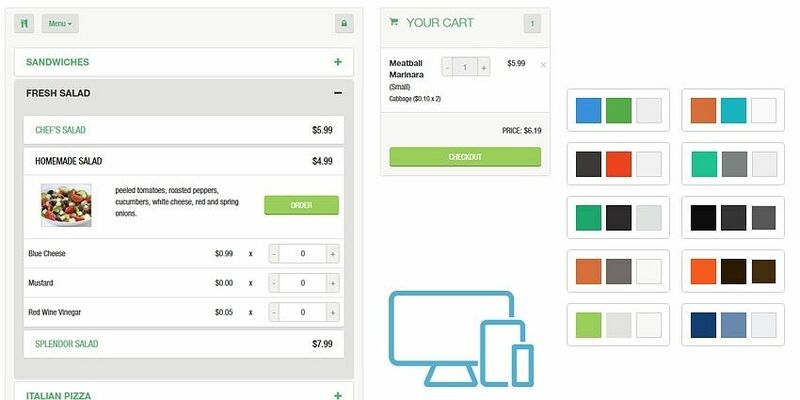 Integrate a powerful Food Ordering System into your website and boost sales! Let your customers order meals online, choose their preferred delivery and payment method, and make them your regular clients! With our online Food Ordering System, you can create an attractive restaurant menu organized in categories. 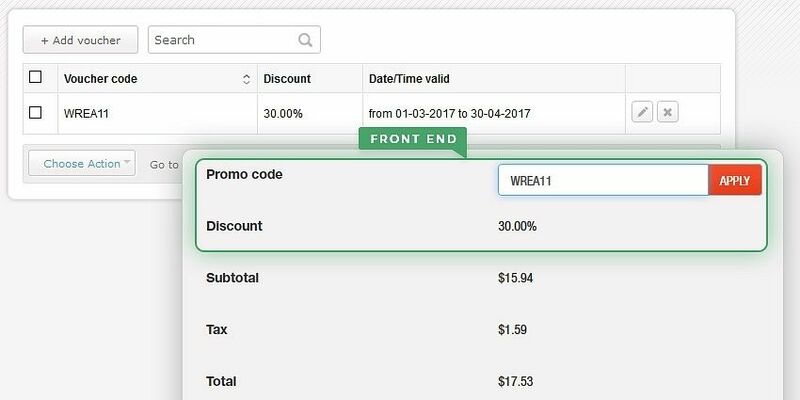 Add an unlimited number of products with description, extras, portion sizes, and more. The online food delivery software enables you to manage all food orders, review and archive customer details, and handle all business operations from a single place. Leave the technical part to us! You can assign as many additional extras to meals as necessary - like sauces, cheese, spices, etc. so that customers can add them to their orders. Each extra has separate price settings. 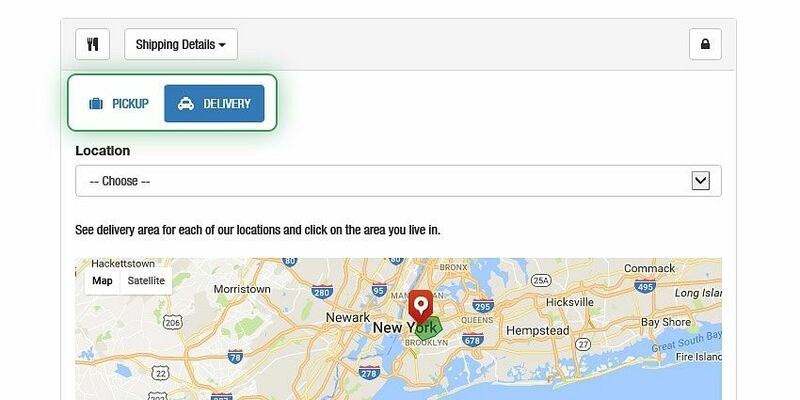 Using our food delivery script, you can add multiple restaurant locations, define delivery areas, set pickup and delivery working times, delivery fees, and more. Google Maps makes it easier! Generate voucher codes for discounts which clients can apply to get reduced prices when ordering food online. They can be for a certain amount or percentage, fixed, time-limited, or recurring. 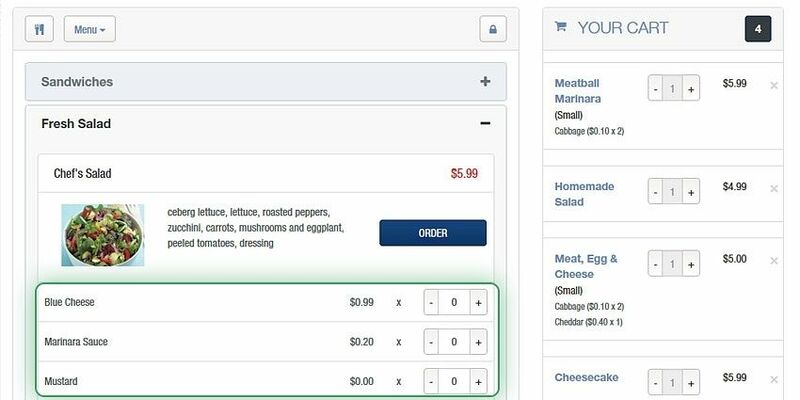 The Food Ordering System allows you to receive deposit payments or the full order amount using PayPal, Authorize.Net, wire transfer, credit card or cash on delivery. 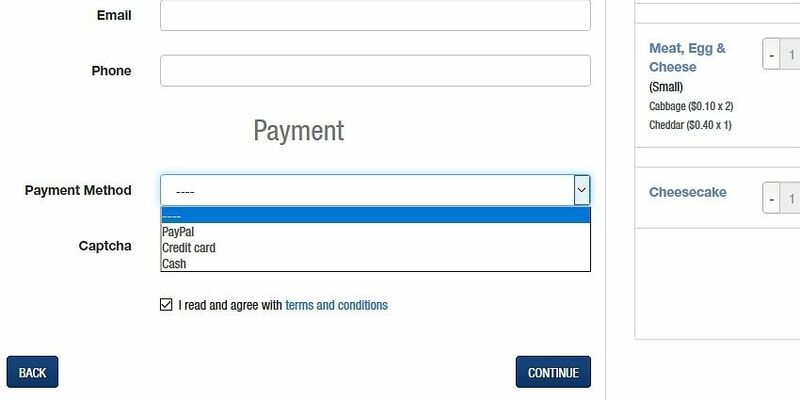 You can also request other payment gateways.